FEELING hairy? You’re not alone. There are many ways to deal with unwanted hair. Shaving is the easiest, fastest and least traumatic way to get rid of unwanted body hair. Along with creams, it’s also the least effective, because you’re only removing the hair at the surface of the skin. Stubble quickly reappears and shaving becomes a daily affair, with cuts and bumps soon becoming a new fact of life. As for Creams, use them with caution. Depilatory creams (yes, sprays are the same thing in different packaging) have come under intense scrutiny during recent years. Keratin, the substance which is targeted and dissolved by depilatory creams, is a vital substance in both hair and skin, and unfortunately the keratin in your skin can be damaged as well. You also run the risk of absorbing chemicals into your blood, plus other more common symptoms such as pimples, folliculitis, skin aging, cracking, and thickening of the epidermis. For the same short term result, you’re better off shaving. The most common form of commercial hair removal is Waxing. 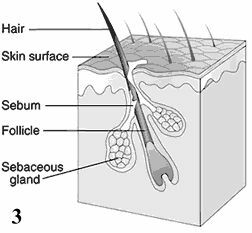 It removes the hair shaft and root, but unlike electrolysis and laser, waxing leaves the hair bulb intact. New hair will usually regrow in 4-6 weeks but comes back finer after each treatment. Electrolysis is an old but reasonably effective way of removing hair for the long term, as it destroys the bulb of each hair one at a time. The down side is that electrolysis is costly, painful, takes a very long time to perform, and requires many treatments. Conventional laser achieves a slightly lesser result than electrolysis but can treat larger areas more quickly. This is a costly and painful procedure, and traditional laser hair removal technology is quite dated. Common side effects of conventional laser can range from sunburn to blistering, and scarring can also result if used by the untrained. Last but definitely not least is Intense Pulsed Light, a significant technological step forward. Where traditional laser uses a single colour light, Pulsed Light is broad spectrum. It's quicker than conventional laser, with treatments taking only a little longer than to wax the same area. Follow up sessions are often required for a perfect result, but compared to other permanent hair reduction treatments, Pulsed Light definitely leads the field. Whatever method of hair removal you eventually choose, remember that hair grows in cycles, and not all of your hair will be present at the time of treatment.